Why is it Called "Going Dutch" When You Pay for Yourself? Michael W. asks: Why is splitting the tab and paying for yourself called Dutch? The idea of paying for yourself when out with friends being referred to as some expression including the word “Dutch,” seemingly incorrectly is often connected to the fact that for several centuries beginning in the 17th, the word Dutch had a negative connotation in English, variously meaning cheap, duplicitous, alcoholic, poor, treacherous, selfish or just plain wrong. The derogatory usage of “Dutch” stems from animosity between the English and Dutch due to their competing positions as naval powers, which would ultimately erupt into full on wars, mostly fought at sea. It’s no surprise then that by the middle of the 17th century when war broke out, the English had come up with some choice derogatory expressions related to their rivals. Specifically, by 1654, the first derogatory uses of Dutch began appearing in print, such as R. Whitlock’s Zworouia: “The contract is not (like Dutch Bargains) made in Drinke.” Soon, phrases such as Dutch palate (1687 meaning low class) and Dutch reckoning (1699 meaning poor accounting, particularly a bill that doesn’t include details and potentially becomes bigger if you question it) were also appearing. That said, contrary to what is often said, none of this appears to have anything to do with the various “Dutch” expressions meaning to pay for one’s self. In fact, the origin of this expression might even have little to do with what we think of today as “Dutch” at all. In the 17th and 18th centuries, many German-speaking groups immigrated to the United States. For those that settled in Pennsylvania, they became known as Pennsylvania Dutch. As to why these German-speaking people were called this in the first place, for some time in English, High Dutch generally referred to people from parts of Germany and nearby mountainous regions and Low Dutch got applied to people from the Netherlands, at the time with these regions part of the Holy Roman Empire. Even after they gained their respective independence, the naming scheme still stuck around for a while in certain places, like America. In the United States, it would seem that the Pennsylvania Dutch had a reputation for never owing anyone anything to the point that, even with a group of friends in a tavern, the reputation was that each person would pay his own bill. Whether this reputation is wholly accurate or not, in the United States, various phrases that included the word “Dutch” became synonymous with this characteristic and eventually different variations with the meaning began to appear in print, including: “Dutch treat” (1873), “Dutch lunch” (1897) and “go Dutch” (1914). If our temperance friends could institute what is called the “Dutch treat” into our saloons, each man paying his reckoning, it would be a long step towards reforming in drinking to excess. Perhaps you have a fatter pocketbook than some of the other fellows. I, for instance, can’t afford to buy two tickets every time I go. So some of the boys and I go on the “Dutch lunch” plan: everybody for himself. Given that this line of “Dutch X” expressions didn’t appear until the late 19th to early 20th centuries; they first appeared in the United States, rather than Britain; they seem in many cases to be referring to Pennsylvania Dutch; and they aren’t inherently derogatory, it’s thought by many etymologists that, contrary to what is often said, these expressions probably had nothing to do with the former lineup of derogatory “Dutch X” expressions invented by the British a couple centuries before. Double Dutch, the two-rope skipping game was first seen in print in the late 19th century, when Harper’s Magazine included it with a list of others in 1895: “He skipped ‘slow-poker’, ‘pepper-salt’, and ‘double Dutch. '” However, the game itself is said to have been introduced hundreds of years earlier, when New York City was known as New Amsterdam, so named by its Dutch settlers. According to the National Double Dutch League, the game’s name was coined by the children of English settlers who learned to play it from their Dutch peers. Splitting the bill is rather common today in Germany, Austria, Switzerland, Sweden, Norway, Denmark, Finland, Iceland and Ireland. In Catalonia, Spain, going Dutch is called pager a la catalana (to pay the Catalan way) and in parts of Italy, the expression is pagare alla romana (to pay the Roman way). Holland derives from an Old Dutch word that meant “wood land” and originally described the northern part of the Netherlands. What is the origin of the phrase “to go Dutch”? 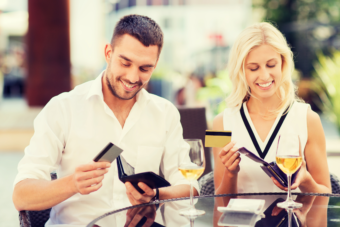 Why Do We Refer to Splitting the Bill as Going Dutch? Also good to note that Pennsylvania Dutch has got nothing to do with Dutch people, Pennsylvania Dutch is a cultural group formed by German (Deutsch)speaking immigrants in Pennsylvania. Dutch is the language that is spoken in The Netherlands. I was surprised to see no mention — not even in the section about the “Pennsylvania Dutch” (Germans) — that, in some contexts, the English word, “Dutch,” is a corruption of the word, “Deutsch” (meaning “German”). Also, no mention of “Dutch uncle”. As a Dutch living on the german border there is hardly any difference, we speak plat dietsch , i can easily understand a pensylvania Dutch ,Amish or my german neighbour. regional language. No german speaks dutch but all Dutch speak German. Paying the bill our way is because we are merchants and know for centuries what a contract is and small print.We don’t get fooled easily. Selling N.Y t the British was a good deal.